Very cute ornament. Nice and light so it can hang easily out toward the end of a tree branch and not weigh it down. Good detail. 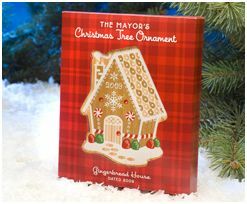 A nice addition to the Mayor's collection of ornaments.